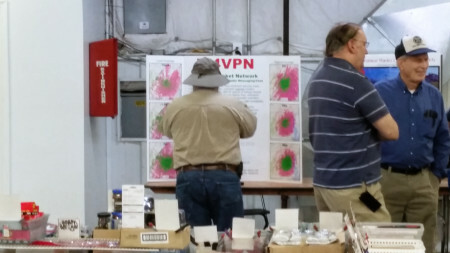 John and maybe Mark will attend the Berryville, Virginia ham fest this weekend and will have our poster setup at a tail-gate spot weather permitting. We look forward to continuing discussions with the ham population as we continue to vet the usefullness of our VAPN concepts. 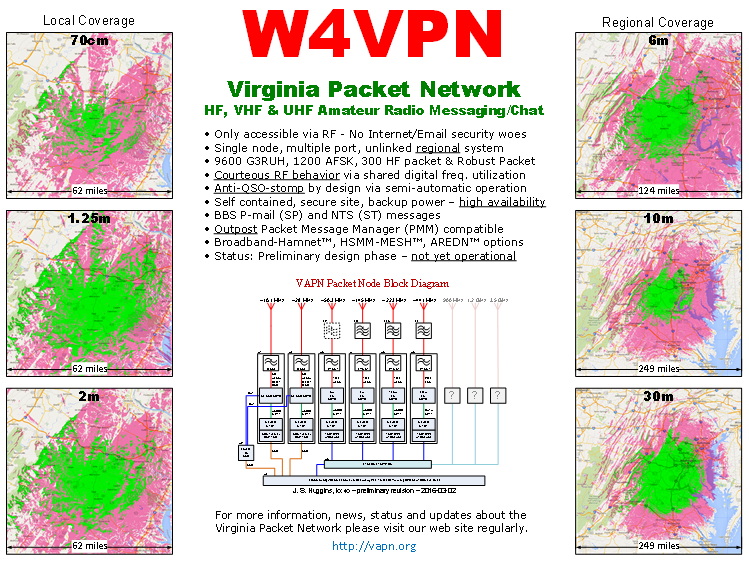 KX4O attended the June 19th Manassas Ham Fest to spread the word about the existence of the Virginia Packet Network.